I guess you can't blame this guy for trying. The inspector's probably thinking to himself, "You think you're some kind of Jedi, waving your hand around like that? I'm an inspector. Mind tricks don't work on me. Only right. No right, no pass!" 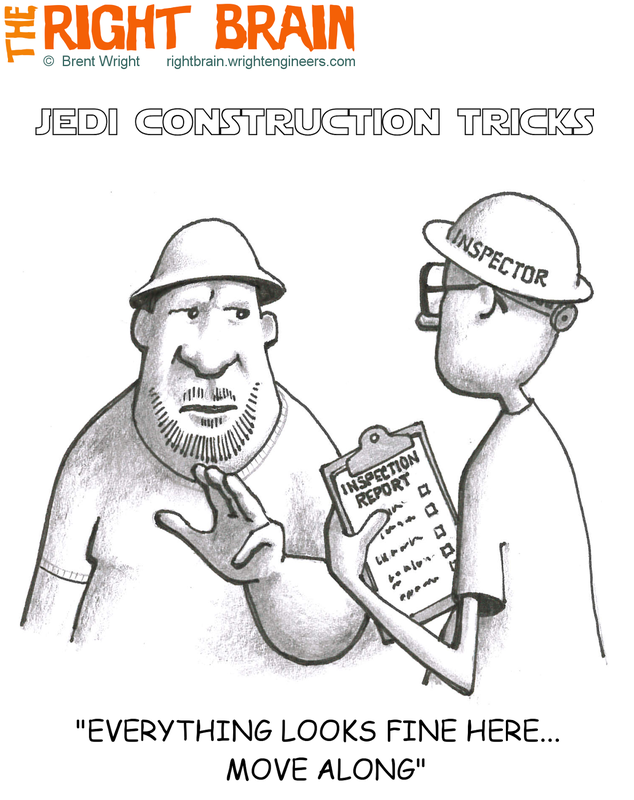 Sometimes we humble engineers are asked to work some Jedi magic, like when we get an urgent phone call from the jobsite with the superintendent on the other end saying, "We accidentally forgot to put any rebar in the footings and walls and now the inspector won't pass us. Can you just get me a letter for that?" For more cartoons with inspectors and "...can you get me a letter for that?" click here.